Belle decor design group LLC has the latest styles and colors for you to choose from. We are a premier remodeling and design team, at your service. Call today for your free estimate! Dura Design Build performs kitchen and bath, full remodel and custom home design and construction. Our process is unique: we approach every design and construction with architectural precision, thoroughness, attention to detail and functionality. We believe there is a beauty to be achieved through the careful search for perfection and the execution of craft. 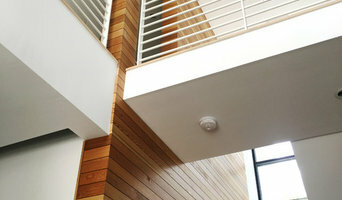 Dura Design Build is an architect-led design builder that excels at remodels and modern design. We start by interviewing our clients: we want to work for nice people who value our expertise and experience. We then propose a design-service agreement which includes a budget for the project. When design is about halfway complete, we usually offer a contract for construction. Through construction, we supervise carefully, communicate with our clients, construction employees and subcontractors, and manage the process by creating additional shop drawings, details, sequence drawings and sketches all whilst performing the typical construction managers duties: scheduling, contracts, selections and procurement, material and site logistics and labor management. We are an exclusive dealer for Crystal Cabinet Works. We believe in their company, their process and most importantly: their quality. Their ethos dovetails with ours in that we strive to deliver the highest consistent quality possible and maintain our attention to the people, processes, and purposes of our work. Starr Custom Homes is an award-winning design/build custom home company located in Jacksonville, FL. Starr Custom Homes brings together all the elements needed to bring your inspiration to life: exceptional design, strong experience and, most importantly, you – at the center of it all. Partnering with us means you have the freedom to build your home, your way. We will design your home from scratch, or we can start with one of our plans and modify as you prefer. SCH's president, Shawn Starr, is a state-certified building contractor and has been responsible for hundreds of homes through his work with a national production builder. Prior to becoming a contractor, Shawn designed Dreambuilder Two and had it built for his family. He experienced the adventure of custom building and the contentment of living in a home that was beautiful, unique and ideally created for his family. Now, this first-hand knowledge drives his passion for custom building your vision of your own new Starr custom home. You've dreamed it. Now live it. First Coast Drafting and Design is an architectural design firm that specializes in the development of residential house plans, where we know that "every dream home starts with a plan". Our goal is simple...we always want to exceed expectations by truly understanding our clients' visions and needs. We listen, then we translate what we hear into a design that works for the client on every level...functionally, aesthetically, and financially...bringing our clients one step closer to their dream home. We have had the privilege of working with individual clients as well as some of the best local designers and builders in Jacksonville, Florida. This real world experience gives us the knowledge and ability to provide the best service to our clients. We also try to provide a faster turn-around time than larger firms, while still providing a high quality of work. We value all of our clients and understand that a home is much more than just a place to live. Glenn Layton Homes is proud to be the custom homebuilder of the 2013 HGTV Smart Home in Paradise Key South Beach, Jacksonville, Florida. We build homes for your Coastal Lifestyle that include indoor and outdoor living, entertaining family and friends in well-designed rooms, incorporating unique style and design into your home, and efficient planning to live more with less. You don’t need to “travel” away from home to live your dream. Glenn Layton Homes is “Building your Coastal Lifestyle” throughout Jacksonville and Northeast Florida. Our custom homes have been created in Amelia Island, Atlantic Beach, Jacksonville Beach, Neptune Beach, Ponte Vedra, St. Augustine, and we are a builder of choice in desirable First Coast communities. Glenn Layton Homes will also build on your own lot. Give us a call and start living your Coastal Lifestyle today. Licensed General Contractor in Jacksonville, Florida. Specializing in home renovation and remodel. Content Modern is a Jacksonville, Florida based full service architecture and interiors firm. Our team approaches every project with the mindset of a real estate developer, with the creative insight of an architect, and with the job-site know how of a contractor. 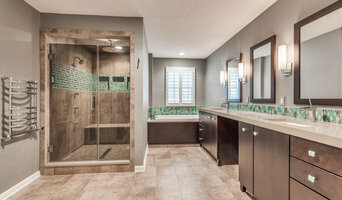 We have a hard time turning away projects that we feel a real connection to regardless of size and type, and have years of experience ranging from kitchen and bath remodels to new custom homes and large multi-story commercial. CONTENT MODERN - Follow their thoughts and writings behind their Designs here: www.contentmodern.com/blog Latest Blog: Current Cost of Construction for Residential Design In addition, our firm's goal is to increase the flow of solutions, reduce costly inefficiencies and improve the value delivered to our clients. Content Modern honors historical significance and works to integrate projects into their developments and communities. When we translate a design, additional consideration is given to construction practices, ecological features, environmental sustainability, energy efficiency, feasibility, and budget. Elite Construction of Jax, Inc.
Certified Building Contractor serving the Jacksonville and surrounding areas. Our company is highly skilled to take on any job, commercial or residential. Elite Construction of Jax, Inc. was founded by David Furukawa in 1993 to pursue his love in the business, Finish Carpentry. Quality workmanship and time consuming details give us all a tranquil mood. This is what transforms a house into a home. David Furukawa has been in the construction field all his life. During that time he has worked as a journey man painter, garage door installer, insulator, and a drywall finisher. In addition, he owned a roofing company and was a superintendent for one of the largest Custom Home Builders in the city. He acquired his Builders license in 1991 and has built over 500 homes. Having experience in all of these fields has given him an eye for detail. One of the things we pride ourselves in is our understanding of the builder and the superintendent, because he has been in their shoes. If they need something that is holding up their job, we are there to take care of it. We also understand that customer service is the most important part of our job, without happy customers, we are out of a job! Residential Design Firm in the Jacksonville, Florida area. We have provided construction drawings to local builders and homeowners for over thirty years, focusing on the efficient use of space and materials. The basic definition of the word "home" seems to be evolving. Today's homeowners are more likely to view their home as a retreat, a safe harbor from the storm. 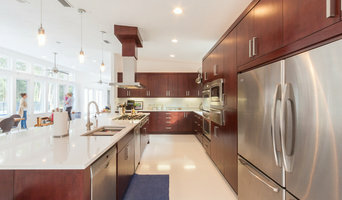 Factor in the enormous time constraints on today's typical family and the desire to spend quality time together, and you have the requirements unique to custom home design in the twenty first century. Klaybor & Associates, established in 1985, was founded on the premise of specializing in new custom home design. Our design philosophy embraces both proportional balance & tasteful detail. Our eclectic approach to home design has resulted in some truly innovative "hybrid" residences. Today's homes are focusing on the entire family and their individual needs. From outdoor living areas, common family areas, to home computer centers, the floor plan is reflective of the family that will call it home. Our firm boasts an impressive 75 years combined experience in residential design. This experience translates into homes that are created with proven techniques of space planning, livability and aesthetic integrity. To recognize our level of success, one needs to look no further than the local design awards won by our builder clients year after year. Our satisfied clients, whether individuals or builders, have become our best form of recognition. At Klaybor & Associates, every opportunity to challenge our creativity, by incorporating your ideas in plan and function, is met head on by our design team and all those involved in the development of your custom home project. We look forward, now and in the future, to helping you achieve your goals for your new home. For over 40 years, Browdy & Browdy has consistently delivered the highest levels of integrity, commitment to quality and craftsmanship in helping their clients build award winning custom homes. 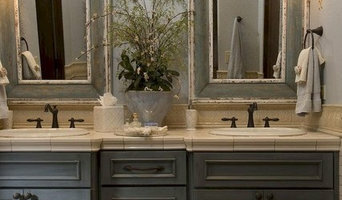 Evidence of these traits are quickly visible in the homes that make up their portfolio and custom home photo gallery. It's no wonder that Browdy & Browdy, Inc has been responsible for some of the finest custom homes in Jacksonville, Florida. The relentless pursuit for perfection has not only led Browdy & Browdy to distinction, honors, awards and personal achievement, it has also consistently garnered the adamant praise of their clients. They fully understand that each client is a unique individual with distinctive tastes and preferences. Browdy & Browdy takes great pride in helping every client construct a new custom home that positively reflects the characteristics that will make the new home truly theirs. As North Florida's leading design build construction firm, we specialize in projects of all sizes from simple bathroom remodels to new construction of custom site built homes. We have built a solid reputation as one of the leading residential remodel-addition companies of North Florida. We have consistently aided our customers through the design process by carefully listening to their needs and incorporating a design that both meets the needs and fits the existing structure. I believe that a true custom home should be as unique as the individual family who occupies it. Regardless of its size or overall cost, a house can only become a home when it reflects the lifestyle of the family who dwells within it. The goal of Aurora Builders is to understand how our clients wish to live, work, interact and entertain within their home and to explore ways in which the design can enhance their lifestyle. We all dream about living in that perfect home – a retreat, away from the noise and distractions of the outside world, where we can find warmth, comfort and security in the company of friends and family. The home should have all of the functional rooms and interactive public areas, while providing isolated quiet zones and restful private spaces. Beyond simply being a place to eat, sleep and relax, we want the home to integrate into its surroundings and stimulate the senses with enticing outdoor spaces. 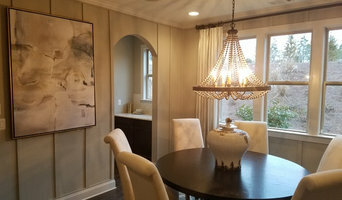 Aurora Custom Homes and Remodeling has dedicated itself to maintaining a low volume approach to home building in order to devote more time to our valued clients during the important planning and design stages of their home. Through our participation in the design process, the owner benefits from the combination of architectural creativity and functional practicality, while having a home designed specifically for their lifestyle. Embarking on the construction of a new custom home, or the renovation of an existing home, can be a daunting task for a homeowner. Aurora gladly walks them through every step of the process, from understanding their initial concept and desires, to partnering with the design professional to craft a home within their budget. For us, the building process is simply the final step in delivering a custom building experience for our clients. Aurora Custom Homes and Remodeling has been exceeding expectations in personal service and quality craftsmanship for nearly 20 years.